Antonio Zazueta Olmos is a photojournalist who has worked covering issues concerning human rights, the environment and conflict. He has worked extensively in the Americas, The Middle East and Africa for newspapers and magazines around the world as well as leading NGOs. Antonio was born in Mexicali, Mexico. He studied photojournalism at CSU, Fresno until 1988. Antonio began his career at the Miami Herald in 1988 where he was a staff photographer for 3 years. He moved to Mexic City in 1991 to become a freelance photographer from where he covered news stories for the Black Star Photo Agency. Since 1994 he has been based in London and is represented by the Eyevine Photo Agency. Antonio was the recipient of a first place award in the World Press for the People in the News category in 2001 for his work in the Palestinian Occupied Territories. 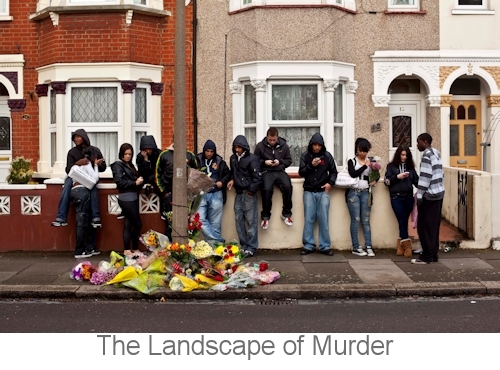 In 2013 his first book 'The Landscape of Murder' was published by Dewi Lewis, a project which documented every murder site in the city of London, UK in 2011 and 2012. I am an editorial photographer, a documentary photographer , a photojournalist, a portrait photographer , a commercial photographer and an artist. Why did you start taking documentary-style images? The first photographs I did where a mixture of street photography and documentary. Why? Because it's the kind of photography I wanted to do. It's what inspired me to pick up a camera. To document the times we live in. What got you your first commission? I got my first break as an intern for the Los Angeles Times. For 3 months I was for all intents and purposes a staff photographer. My first commission as a fully fledged freelancer came when I was in Mexico City and the Sunday New York Times Magazine commissioned me to photograph a prison in Matamoros Mexico. You travel the World with your commissions. Where do you call home? Home is London. I have my young family in London. If I won the lottery tomorrow I would probably only do personal long-term projects and a bit of street photography. I would probably stop doing commissions but I honestly enjoy doing editorial commissions. I love doing portraits for magazines and newspapers as long as the subjects are serious people. 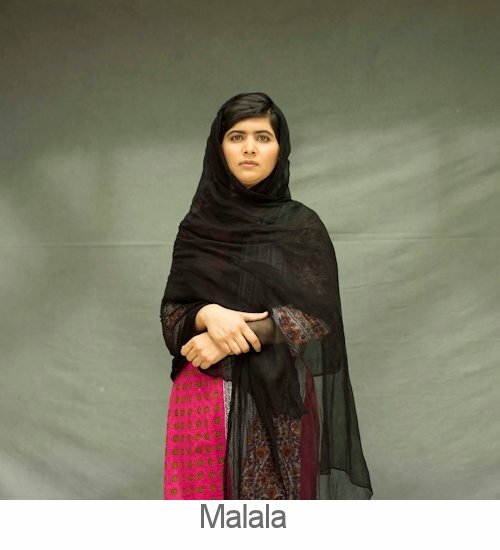 I would rather photograph a philosopher no one has heard of than a Hollywood star. Are you a photographer in your spare time? I take photographs all the time regardless of whether people commission me or not. Otherwise I spend my time being a dad or cycling . Has your style or your expectations of photography changed since you first started? Well I don't have a "style" but I have broadened my skills a lot. I started shooting only B&W film with one camera and one lens and now I can shoot anything in any environment. I feel completely confident in a studio or in the field. I feel completely confident of my abilities wether in a conflict zone or in a hotel room waiting to do a portrait of a celebrity. I can do a corporate annual report shoot or an advertising shoot for a big ad agency. As far as my expectations, I no longer hope that my photographs will change the world but I do think photography is extremely relevant and an important field of art. Why do editors commission you and not the next photographer? I always deliver and come back with a good photograph and I am an extremely nice guy. But I don't kid myself. If I am abducted by aliens, photo editors will have no problem replacing me. 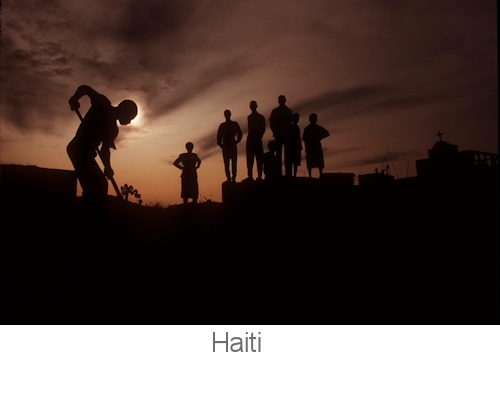 How did your 'The Landscape of Murder' project come about? A woman was murdered a few blocks from where I live and no one seemed to notice. That inspired me to notice and take photographs. Where do your project ideas come from? Reading newspapers, reading books, paying attention, trying to go deeper than the surface of things. Sometimes things piss me off and that is enough to get my cameras out. what do you see in the future for photographers who make their living with their camera? I don't know the future. I wish I did. Sometimes I think that as a commercial activity , photography is dying. I feel like all those painters put out of work by photography a 165 years ago. But it might be liberating for photography as an art form if the only reason you seriously pick up a camera is to be an artist..... On the the other hand, photography has never been more popular and photographers are in many ways more respected. So while we get less commissions we are asked more to do workshops, teach, give talks, share our skills. I am starting to sell prints as well so for me at least the future is looking good. I wish I could give you a simple answer but I can't. I would never tell anyone not to be a photographer. It's always been a tough way to make a living . The Internet/digital age has devalued photography and on the surface it seems like anyone can be a photographer. A photographer starting out today doesn't have the same expectations about the industry that I did or still have. They will be able to navigate the digital world much better than I did and be comfortable with the multi set skills of video, editing , writing AND photography. They won't expect to make an income from their archive that I expected. I thought my archive would be my pension but I no longer think so. I am amazed by how many people still want to be professional photographers. So many are entering the industry when the industry is shrinking. I think you will be fine if you want to be an artist with a camera. If you want to be an editorial photographer or a photojournalist it will be tough and if you want to be a commercial or advertising photographer you will be very lucky to make a living. And I have no clue what the future holds for wedding and fashion photographers. When I started out I simply wanted to be a documentary photographer shooting in only B&W film but then I quickly realized that I will starve to death so I got good at doing editorial portraits which has been my saving grace. If I have one piece of advice for people that want to work in photography is be good at portraits . Someone always needs their picture taken. What advice would you give to photographers who want to shoot documentary projects? Just do them. But only do it if the subject matter is something you deeply care about. All images in this article are � Antonio Olmos.